With a stay at Breathless Punta Cana Resort & Spa Adults Only All Inclusive in Punta Cana, you'll be on the beach, and 8.5 mi (13.7 km) from Macao Beach and 13.6 mi (21.8 km) from Hard Rock Golf Club at Cana Bay. 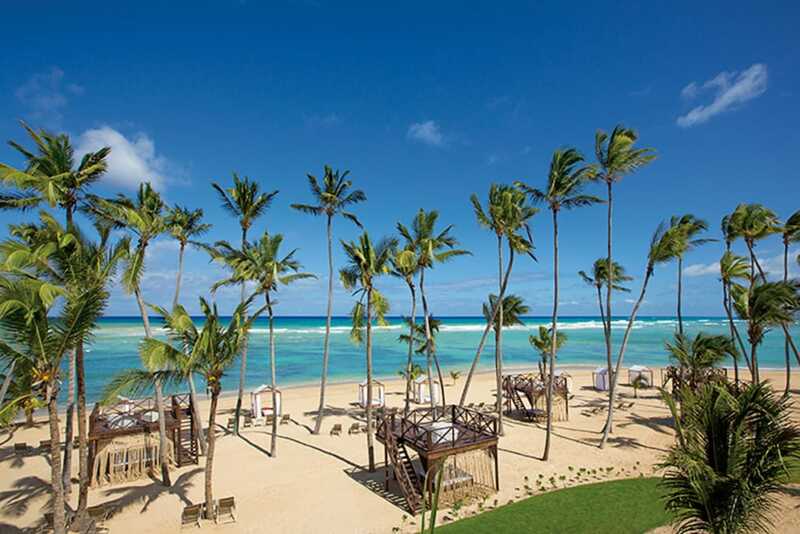 This 4.5-star property is 14.2 mi (22.8 km) from Arena Gorda Beach and 19.5 mi (31.4 km) from Bavaro Beach. Make yourself at home in one of the 750 air-conditioned rooms featuring iPod docking stations and free minibar items. Rooms have private furnished balconies or patios. 32-inch LCD televisions with satellite programming provide entertainment, while complimentary wireless Internet access keeps you connected. Private bathrooms with showers feature rainfall showerheads and complimentary toiletries. Pamper yourself with a visit to the spa, which offers massages, body treatments, and facials. Before a night out at the casino, the 8 outdoor swimming pools and 2 spa tubs are a perfect way to relax and recharge. This property also features complimentary wireless Internet access, concierge services, and a hair salon. Getting to nearby attractions is a breeze with the area shuttle (surcharge). Enjoy Asian cuisine at Silk City, one of the property's 10 restaurants, or stay in and take advantage of the 24-hour room service. Snacks are also available at the coffee shop/café. When you are in need of a refreshing drink, visit the beach bar or one of 8 bars/lounges, or 5 poolside bars. A complimentary buffet breakfast is served daily from 7 AM to 11 AM. Featured amenities include express check-out, complimentary newspapers in the lobby, and dry cleaning/laundry services. Planning an event in Punta Cana? This property has facilities measuring 8248 square feet (742 square meters), including conference space. Free valet parking is available onsite. Outdoor tennis courts and a health club are featured at the property. 8 outdoor swimming pools and 2 spa tubs are on site. Other recreational amenities include a sauna. Breathless Spa by Pevonia has 12 treatment rooms. Services include deep-tissue massages, facials, body wraps, and body scrubs. A variety of treatment therapies are provided, including aromatherapy and hydrotherapy. The spa is equipped with a sauna, a spa tub, and a steam room. Reservations are required for massage services and spa treatments. Reservations can be made by contacting the property prior to arrival, using the contact information on the booking confirmation. Children 17 years old and younger are not permitted at this adults-only property. Only registered guests are allowed in the guestrooms. The property has connecting/adjoining rooms, which are subject to availability and can be requested by contacting the property using the number on the booking confirmation. No pets and no service animals are allowed at this property.